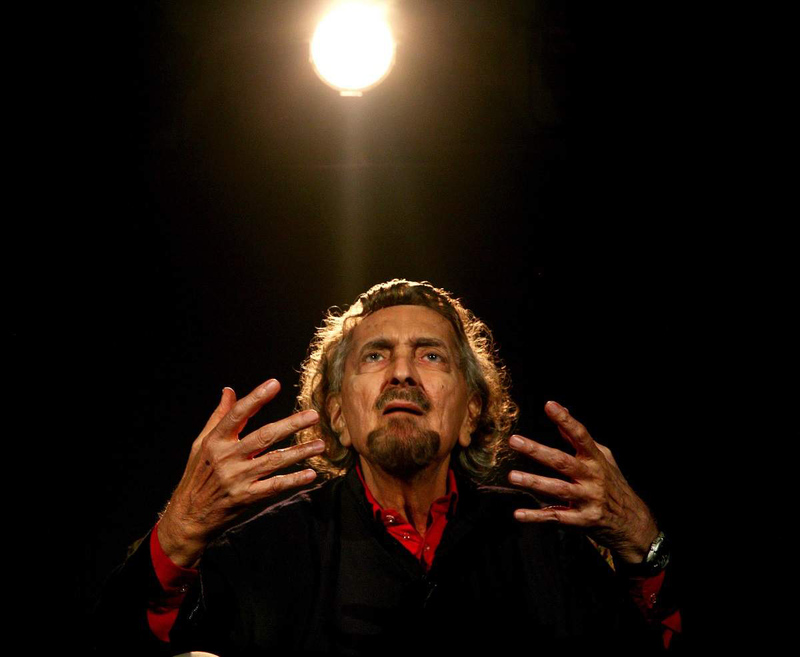 My first exposure to the mind and talent of the late Alyque Padamsee – or the first one that I can remember with a degree of certainty – is when I was an earnest college student and he was already a big name to reckon with. In the early 1980s, as a student of English literature, I sat engrossed in a Sobo theatre watching Evita. The songs of Evita – in particular Don’t Cry For Me Argentina – the performances by Sharon Prabhakar (who was very easy on the eye and the ear) as Evita and Dalip Tahil (all snarls and snide remarks) as Che Guevera and the synchronised dances, brilliantly choreographed by Karla Singh had us on our feet at the end of the show. The musical not only made a star of Sharon but also set a benchmark for the genre in India, even though musicals like Godspell and Jesus Christ Superstar (which had a successful uninterrupted run for almost a year) had been staged here before. I still remember how after the standing ovation the call for the man behind the play grew to a crescendo. And Padamsee’s tall, lean figure took centre stage to even more applause. And the man behind the scenes of this production imprinted his unforgettable figure and a form in my mind. Much, much later I watched him on stage in Ace Productions’ presentation of Arthur Miller’s Death of A Salesman. Having studied the gripping family drama about love and hate, the twists that the relationships go through and the depiction of the oh-so-real family held special interest for me. And Padamsee, along with Sabira Merchant, owned the stage. It was a superb rendition of a work that I had perused as part of my graduate course in the four walls of a classroom – the direction (of course, Padamsee’s) and the acting brought Miller’s work alive. As an actor Padamsee also made an impact as Mohammed Ali Jinnah in Richard Attenborough’s multi-Oscar award winner classic, Gandhi. But he maintained that “theatre was life and life was theatre.” And his productions – Man Of La Mancha, Tughlaq and Broken Images – are but three in the impressive repertoire that bore the Padamsee stamp and name. If watching plays was a passion that fuelled my weekends, television was my first crush that filled my days. The business of studying at my desk and play in the compound dispensed with, I would quickly be pasted on the sofa in front of the idiot box, taking in not just the programmes (how can I forget Chitrahaar, Ramayana, Mahabharata and the Sunday movie? ), but also the ads that appeared with frequent regularity on televisions that had gone from black and white to colour in 1982. I would watch the Liril girl (the first one was Karen Lunel) splash in the waterfall with such unabashed abandon – shy and introverted as I was then, I admired her joie de vivre and free spirit and could watch it over and over again with unabated interest. Another figure who captured my imagination, even though I was not her TG – was Lalitaji who sold Surf (detergent) as if there was no tomorrow. And years later when I purchased my two-wheeler, Hamara Bajaj was perhaps the ‘hidden persuader’ that influenced me to choose my grey, what else, Bajaj scootie. Often hailed as the ‘Brand father of Indian advertising’, Padamsee was known to brook nothing less than perfection. I had read his biography A Double Life with interest – the man behind many successful campaigns often opined that the job of ad-men was pure and simple – to sell clients’ projects and that a great ad was one that generated great sales. I am sure that his Cherry Blossom ad with its Chaplinesque touch must have notched up a great success for the humble shoe polish for who amongst us did not love the iconic superstar of silent comedies? At one time soon after my post-graduation, I had toyed with the idea of becoming a hidden persuader in the world of brand-standing, but the lure of newsprint and writing long features drew me into the world of magazines. I regret that my path did not intersect more with the man everyone looked upto, for there was much that a growing mind could have learnt from the versatile doyen. I reached out occasionally to him for inputs to lend weight to the articles I penned. It was a pleasure to speak with him, even telephonically, he never failed to oblige with a quotable quote. As the advertising world – and the universe beyond it – will repeat ad infinitum, the man, his mind is sorely missed.